Cracker Barrel restaurants serve incredible pancakes. Light and fluffy with crisp edges, and they boast a moist and tender crumb. 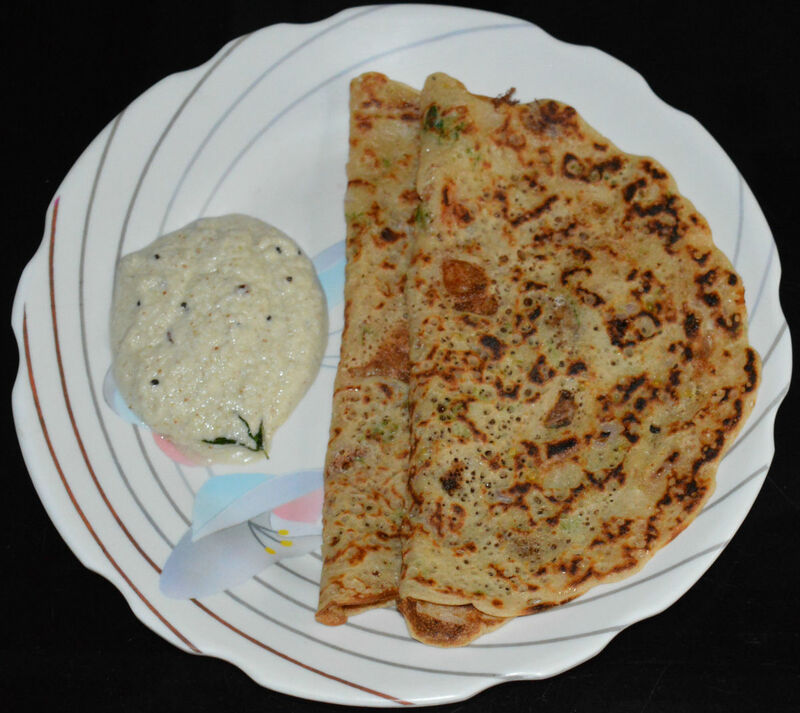 How can you recreate these delicious pancakes at home? 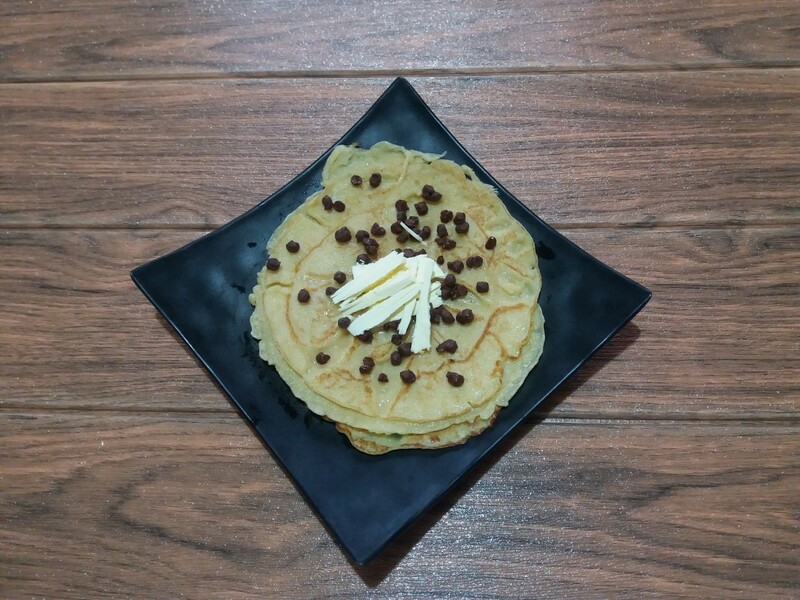 Pancakes are popular all over the world, and they date back to as far as 5th century Greece. Then, they were called tagenites, and these early renditions were made with wheat flour, olive oil, honey and curdled milk. In the United States they are also known as hotcakes, griddle cakes, or flapjacks. 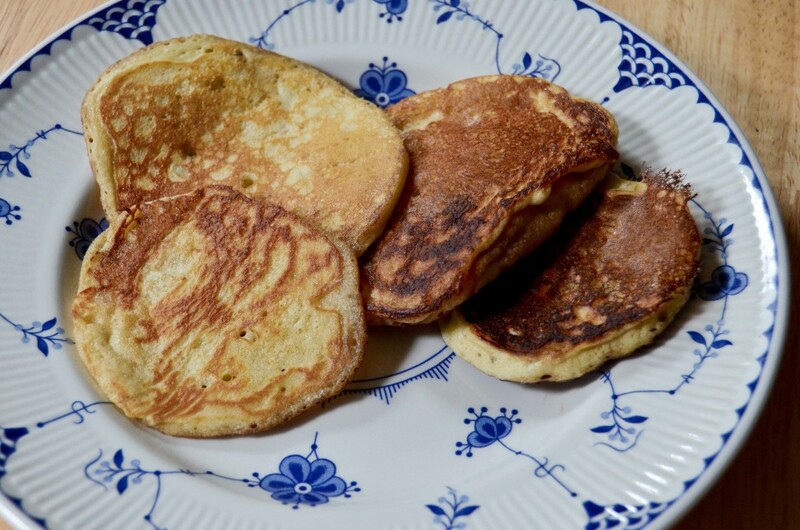 Johnnycakes were a traditional cornmeal flat-bread popular in early America. Although pancakes made "from scratch" require a little more effort than those whipped up from a box mix, the results are well worth it. Made with a secret ingredient, crunchy cornmeal, these are some of the tastiest homemade pancakes you'll ever sink your teeth into. Plenty of baking powder makes them fluffy. The secret method? Be sure to brush the griddle with melted butter before pouring the batter. Your edges will be crispy and delicious, just like Cracker Barrel's. Be sure to follow the tips for foolproof pancakes every time. Find the recipe and instructions in this article, and at the end of this page learn about some variations and how to troubleshoot less-than-perfect ones. Place a cookie sheet or large plate in a 200 Fahrenheit oven. Keep pancakes on the plate, without covering them, for up to one hour. Combine milk and white vinegar. Set aside for a few minutes, until the milk thickens slightly. Add the rest of the wet ingredients and beat with a fork until well blended. Sift the dry ingredients together into a medium mixing bowl. Combine gently, mixing only until the ingredients are incorporated. Be careful not to over-mix. Heat a griddle to medium-high heat (375 F). Sprinkle a few drops of water onto the griddle. When the water "dances" and sizzles, the griddle is ready to use. Brush melted butter onto hot griddle. Pour or ladle about 1/4 cup batter onto the hot griddle. 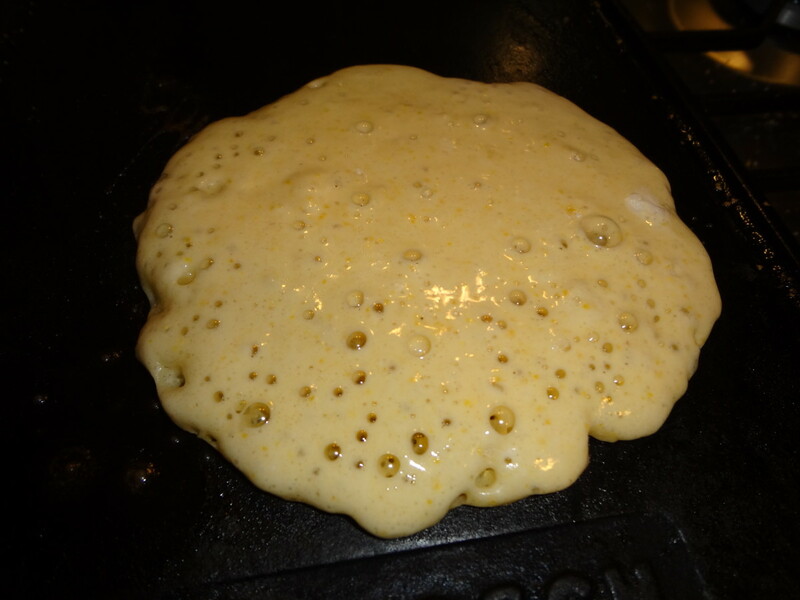 Cook pancake on the first side for 1-3 minutes, or until the surface fills with bubbles. With a wide spatula, carefully flip pancake. Cook for another 1-2 minutes, until golden brown. Serve immediately with butter and your choice of toppings. If using fresh berries: Sprinkle a tablespoon of fresh blueberries or raspberries over the uncooked surface of pancake before flipping. If using frozen berries: Rinse thawed berries thoroughly. Sprinkle a tablespoon of berries over the uncooked side of pancake before flipping. Thinly slice a banana. Carefully lay several slices on the uncooked side of pancake before flipping. Burned: griddle temperature too high. Dry and pale: griddle temperature too low. Dense or flat: not enough baking powder or baking powder wasn't fresh. Tough: batter was overly mixed (see tips above). Raw: pancake was flipped too soon/not cooked long enough on one or both sides. Always use room temperature ingredients. Set out the eggs on the countertop the night before. Save the hand mixer for cakes and hand stir the batter instead. Gently fold in the ingredients with a spatula until just combined for tender cakes. For extra lofty ones, separate egg whites from yolks. Beat the whites until stiff then gently fold into pancake batter. A rule of thumb: thick batter makes thick pancakes, thin batter makes thin pancakes. Sift dry ingredients for more consistent results. Cracker Barrel's original recipe includes rye flour. If you'd like, add a couple tablespoons of rye or whole wheat flour to the unbleached flour. Measure out dry ingredients the night before for quick assembly in the morning. Be careful not to overbeat the mix because this develops gluten and makes them tough. Use a spatula and fold gently, just until ingredients are incorporated—and not a stir more! It's okay to leave a few flour lumps and streaks in the batter. Pancakes are best enjoyed with real maple syrup and butter. Using a pastry brush, butter the griddle before pouring out each one. You can omit the butter for lower fat versions, but be aware that low-fat ones are drier and more cottony. If you don't have buttermilk on hand, measure 1 tablespoon of white vinegar into 2 cups of room temperature milk. Allow milk to rest while measuring other ingredients (it will thicken slightly). Use sour milk as directed. For more nutritious pancakes, substitute 1/2 cup of quick oats for 1/2 cup of the flour. Drizzle with Exotic Wild Berry Sauce for a special treat. Pour tiny pancakes, four inches across, and build breakfast sandwiches in the style of these Homemade English Muffin sandwiches. These look delicious! I will pick up some cornmeal next time I am grocery shopping so that I can make these! Now I'm extraordinarily hungry for pancakes. Also appreciate the advice on pancake griddles. I love this as I've never made pancakes with cornmeal. Definitely a must try. Carrie Lee Night, thanks for your comment! Great recipe hub ! :) I can smell the griddle now ! Bring on the maple syrup and fatty butter. 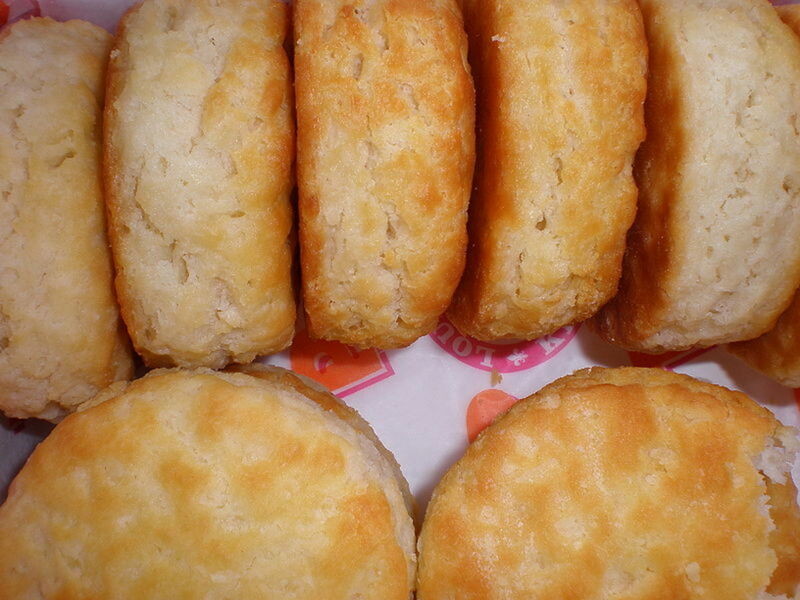 Thank you for sharing, breakfast will never be the same. DonnaCaprio, I'm glad you're going to try these pancakes! These look wonderful! I make pancakes "from scratch", but have never used cornmeal in them. Can't wait to try! Thanks! Lindacee, enjoy the pancakes and thanks for stopping by! A wonderful idea for pancakes and you did this so fantastically love the photo and makes me want to try for myself. Pstraubie, I hope you can try these delicious pancakes someday! Lesliebyars, I hope these tips give you the information you need to create fluffy pancakes with crisp edges at home. Thanks for coming by. OMG!! These look soooo good!! I love the crunchy pancakes. I have tried to recreate this same crunchiness at home and haven't been able to. I voted your hub up and awesome. GetitScene, it's always nice to meet a fellow pancake lover. Enjoy and thanks for coming by. Useful and Interesting. If there is just one thing that everyone should be able to cook well it's pancakes. I will sit and eat them until I can no longer walk. Delicious! Thelma Alberts, I hope you can try these pancakes sometime. Thank you for taking the time to read and cooment. Yummy! I love pancakes. Your photos are mouth watering. Thanks for sharing your recipes. Have a great day! Deborah-Diane, this is our favorite go-to pancake recipe. Enjoy and thanks so much for the vote! We have pancakes for breakfast every weekend, and these sound delicious! We'll have to give your recipe a try. Thanks! Voted up! JustaskSusan, I'm glad you found this information useful. Griddles make it so much easier to make pancakes. Maybe your husband's next batch will turn out better! Thanks for the vote, pin and share. InsightfulTiger, I'm glad you added this to your food board! This is our go-to pancake recipe and a favorite in our household. Enjoy! I appreciate your comment! Tom Schumacher, I'm glad you're going to try these pancakes. Enjoy and thanks for your comment! Faith A Mullen, I hope you enjoy these delicious pancakes. They're our favorite! Thanks for the vote. Rumanasaiyed, these pancakes are delicious--they're our favorite. Thanks for the vote and share! That looks a yummy pancake.I haven't ever heard about banana pancake. You have shared a very easy recipe for it. Voted up useful and Shared ! Tattuwurn, I hope you have the chance to try this recipe! It's our go-to pancake recipe and so much more delicious than box mixes. Yes, the cornmeal gives it a nice crunch. I really appreciate your support and thank you for the votes and share! unknown spy, homemade pancakes are so much tastier than the box mix. I hope you can try it sometime. It doesn't take a lot more time and you'll feel so rewarded when you sink your teeth into the hot and fluffy pancakes. Thank you for taking the time to comment. 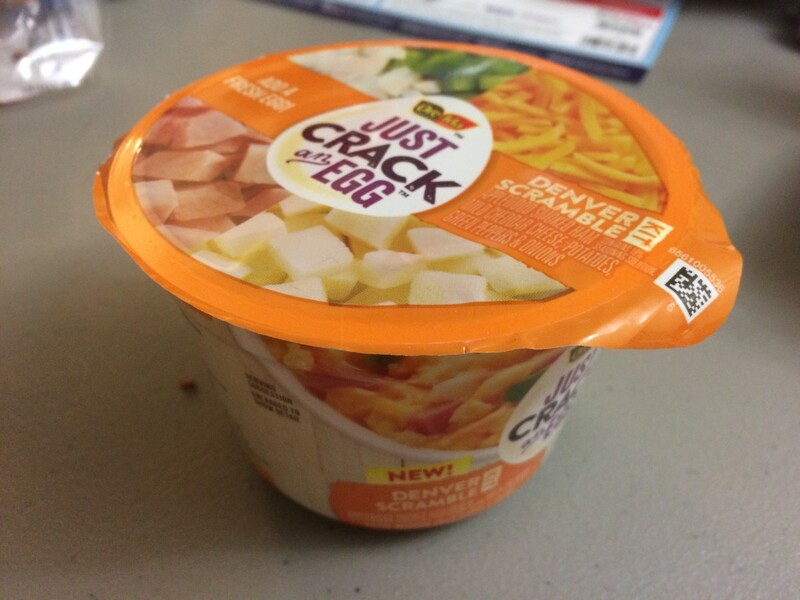 i used to buy boxes of one-step hotcake mix. but it wouldn't be nicer if i could make one on my own? Thanks a lot Vespa! Yes, you can use white cornmeal. 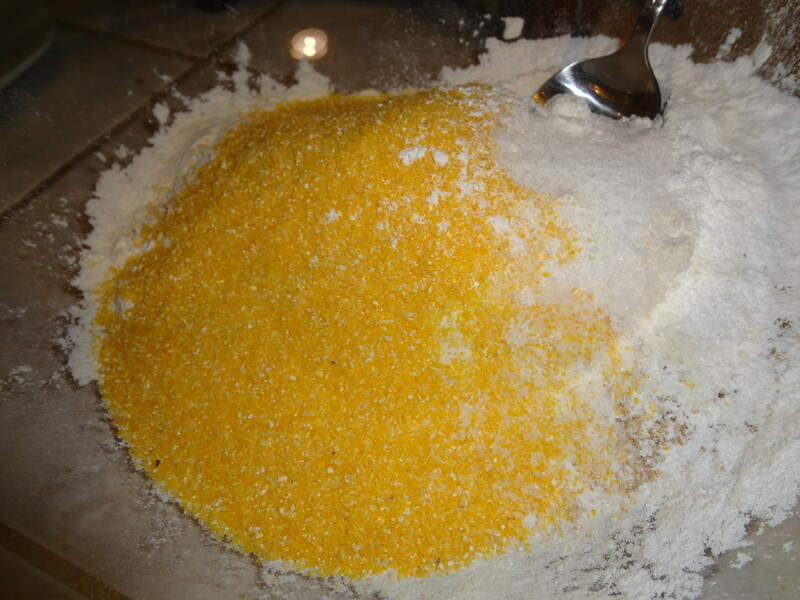 I have never used finely ground cornmeal, but it would work just fine although the texture will be a little different. Please let me know if you have a chance to try it. PeggyW, these are our favorite pancakes although I also love pumpkin pancakes. My husband enjoys eating at the Cracker Barrel as a special treat. Thanks for your votes and the meaningful comment. My mother-in-law's most favorite breakfast place if not eating at home was Cracker Barrel. 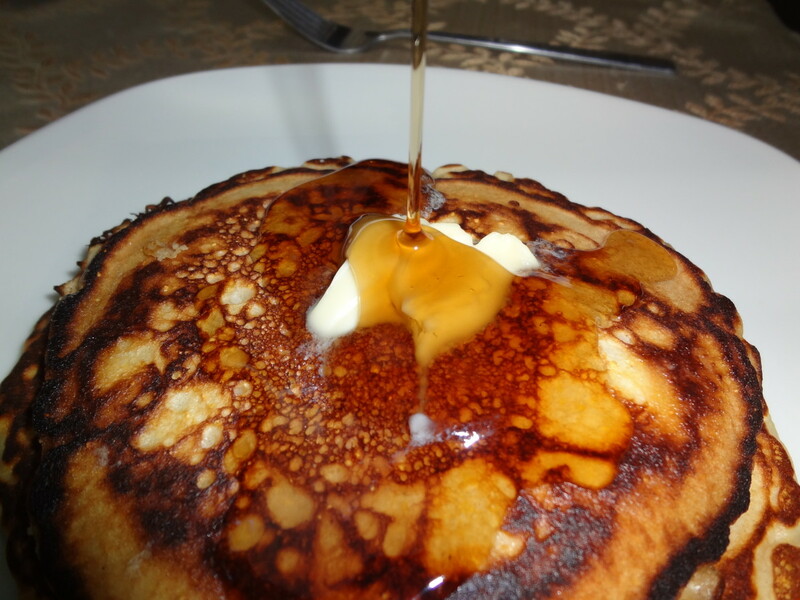 Thanks for sharing this pancake recipe with us and the tips on how to make a perfect pancake. I recently made some pumpkin pancakes following another Hubber's recipe and they were very good. Up and useful votes! 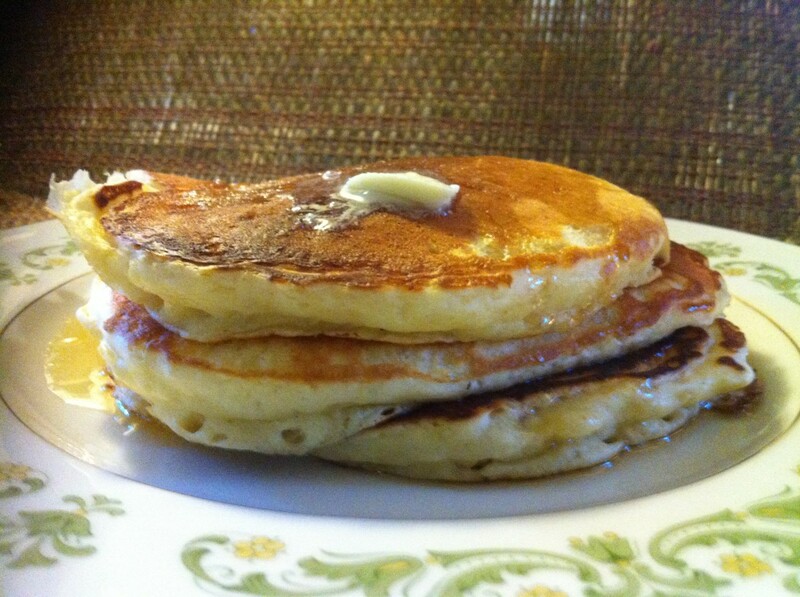 MomsTreasureChest, this is a popular recipe and our go-to recipe for pancakes. I hope you enjoy it as much as we do! Thank you for coming by. I love Cracker Barrel, and these pancakes look delicious. I'll have to give them a try! Thanks for sharing! AlliOop, white cornmeal will work just fine as long as it's not coarsely ground. Enjoy! 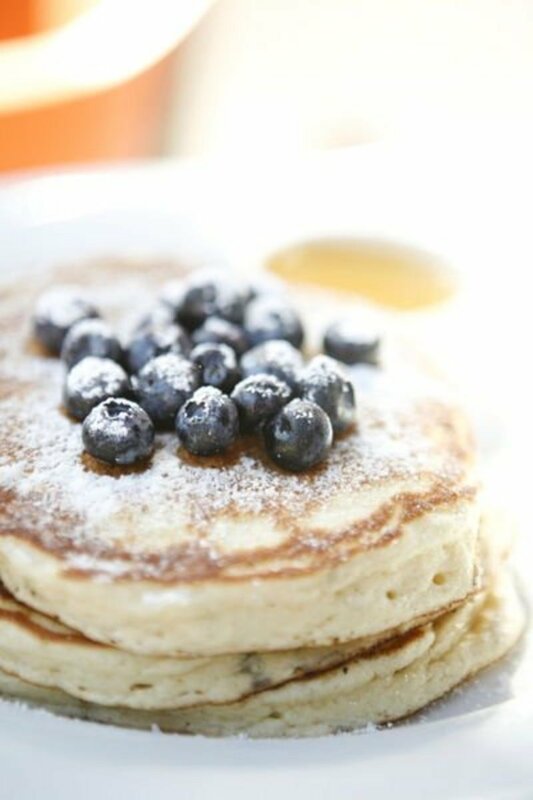 These are definitely our favorite pancakes, and blueberries make them even tastier. Thank you for coming by. First of all, these pancakes look absolutely delicious and I will be making them. Just one quick question. White cornmeal is a pantry staple for me. Will it work for these pancakes, or does it need to be the yellow? Glenn Stok, I hope some of these variations are useful for you. Pancakes are my husband's favorite breakfast. Thank you for coming by! I like making pancakes for breakfast. But I never actually tried any variations. I learned a lot of new ideas from you and I look forward to trying them. Hhunterr, this is our favorite pancake recipe. Enjoy! I hope you enjoy it and thank you for your comment. 1,001 Likes! I make pancakes all the time. This will definitely help me with some necessary finesse. Very complete hub. JamieBrock, these are our favorite pancakes. I'm glad you found the tips useful. 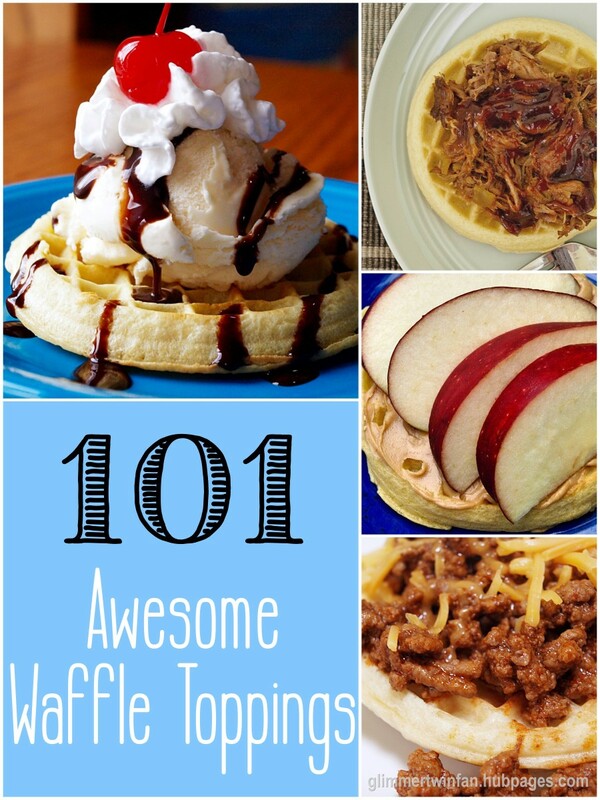 Pancakes can be finicky, but all those tips help them come out delicious every time. Enjoy and thanks for the vote and comment! Lindacee, I'm glad you're going to try these pancakes! They're our absolute favorite. We're also far away from Cracker Barrel. They don't have any in Peru, but we are sure to pay them a visit when we head to the U.S. Thanks for coming by! Lwelch, I've never heard of Millie's Pancake Haus but I'm already sold. I hope one day to try it! Thank you for coming by. Cracker barrel is the only place around here that has pancakes that aren't too sweet. Not as good as Millie's Pancake Haus In Tucson, Arzona, but, alas, I live in Ohio. 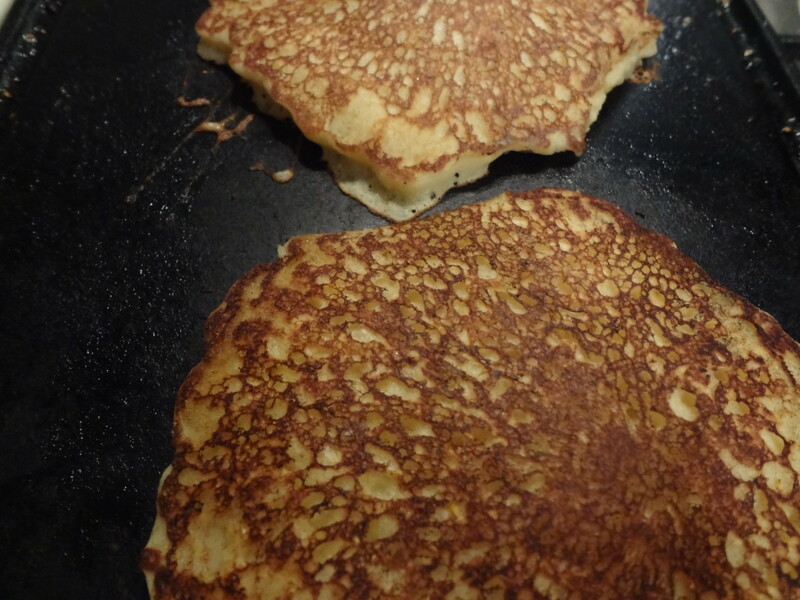 Calculus-geometry, the cornmeal gives the pancake edges a little crispiness. It's always a good idea to brush the griddle with real butter before pouring each pancake, too. I'm very picky about pancakes and although I try other recipes, I always find myself returning to this one. If I have time, I like to separate the egg whites, beat them until stiff and fold them into the pancake batter for extra fluffy pancakes. Enjoy! Thanks so much for coming by. I've only been to a Cracker Barrel once, but I didn't have the pancakes. How does the texture change with the addition of cornmeal? Curious to try this sometime. Sgbrown, I do think the butter is important for the texture of the pancakes. Thank you for your comment and vote! Rajan Jolly, thanks so much for the vote and comment! Pancakes are my husband's favorite breakfast, but we don't make them too often and I add whole wheat flour or oatmeal to make them healthier. Thanks for this wonderful pancake recipe. The pancake look very inviting and of course as crisp and brown as I like like them. Vote up and 5 stars. Coffeegginmyrice, I enjoyed your description of school days pancakes. The butter and sugar coating sounds irresistible. I hope you have a chance to try these. Thank you for coming by! Moonlake, we also enjoy pancakes for dinner sometimes. On Sundays we sometimes have them for an afternoon brunch. I hope you enjoy this pancake version as much as we do! Thank you for taking the time to comment. These are some new pancake recipes here. I love pancakes! I remember the kind when I was still in high school back in the Philippines. We call our pancakes "hot cakes". When I came to Canada, I was wondering what a pancake was. A mobile vendor sells these hot cakes outside our school grounds and near our parish. The mix was thinner and dark yellow like the colour of a raw yolk. 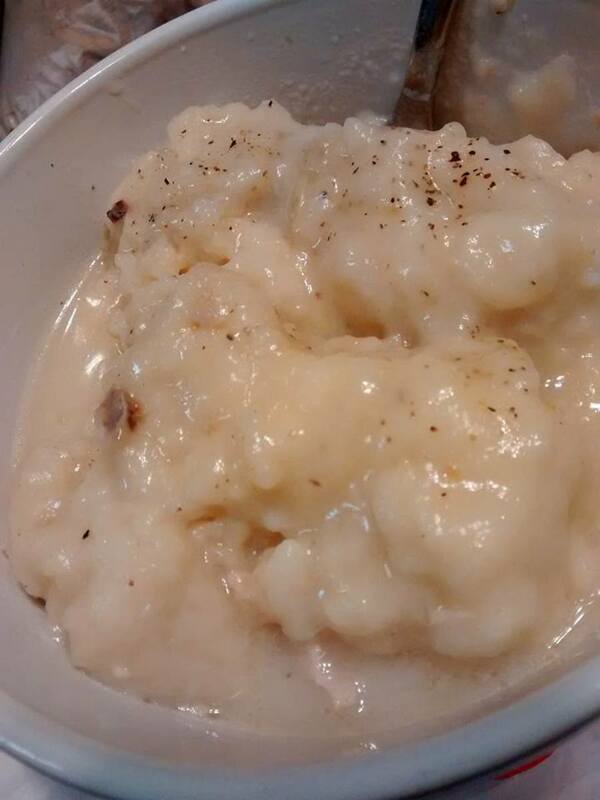 After it's cooked, a spoonful of margarine was spread over it, then sprinkled with sugar. This was my favourite school snack and I would always have an extra in a plastic inside the pocket of my uniform. Would love to bookmark this and sharing. Thank you, vespawoolf! Pancakes our very favorite. We will have to try this recipe. Sometimes we have them for dinner. The sound really good. Voted up and shared. KiriLiz, it really is a special recipe. Enjoy! These look so good! I never thought to put cornmeal in pancakes before! Excellent hub! These pancakes look so delicious!!!!! Where is my fork and knife? All I need is about 2 or 3 of these with butter and syrup, a couple of turkey sausage links and a cup of coffee and I'm good to go. I never knew that pancakes can be made with cornmeal.....great recipe. Voted up. jmartin, this is my favorite pancake recipe. I hope you like it as much as we do! Thanks for coming by. Great hub! Pancakes are one of my favorite things but despite my best efforts I have never been able to get them right when I make them myself. Looking at these pictures I think I'll give it another try! Idigwebsites, these are my favorite pancakes and I'm hard to please! I hope you enjoy them, too. Thanks so much for coming by. MissyMac, glad you like the looks of the recipe! Enjoy and thank you for the comment. CyberShelley, enjoy the pancakes! Thanks so much for stopping by. These are just great, printed out and am having a pancake fest this weekend! Up, useful and awesome. Titi6601, I hope you enjoy the pancakes as much as we do! Thanks so much for coming by. Going to try this pancake in the morning! These pictures are making me hungry! laadhy, thank you for commenting! this piece of work is really awesome. keep your good work. Feistyfood, a picture's worth a thousand words as they say! Thank you for coming by and commenting. 6 years ago from Northern England. Firstly, the picture made me feel slightly hungry. Then, after reading the rest of the hub I was ravanous. Off to cook some pancakes now. Viking305, I hope you have the chance to treat your family to homemade pancakes. They're so much better made from scratch, and especially served with jam! Thank you for commenting. I love pancakes but do not cook them as often as I should. The photos are making me so hungry. Hot pancakes with jam is my favorite topping! Angela Kane, I'm glad you enjoyed the information and hope it will help improve your pancakes! Thanks for the tips and instructions. Every time I make pancakes, I have some type of issue. The tips above will help me greatly. Thank you for your comment, flashmakeit, and I hope you enjoy the recipe! Great tips on how to make a perfect pancake and thank you for including the troubleshooter in case you pancake go wrong. Thank you for coming by, Angela_michelle, and enjoy the homemade pancakes! I have not yet tried making homemade pancakes. I'm going to pin this, so I can try! Thank you, moonlake, for stopping by and sharing! We love pancakes and I love them with the cripy edges but never knew how to get the edges like that. Now I know. Voted. Shared. Enjoy the pancakes, Suzie HQ, and thank you for stopping by!